Since many centuries ago, the butterfly fairies must hide at night and live in fear, because the monsters named Skeezites, which eat fairies, are stalking. But one day, Queen Marabella, illuminates Futterfield forever with all her powers and magic. Henna is the Queen’s assistant, she hates the Queen and feels a great envy; so she makes a plan that allows her to remove the queen from the throne and become in the person who dominates the kingdom; so slowly poisons to Marabella. 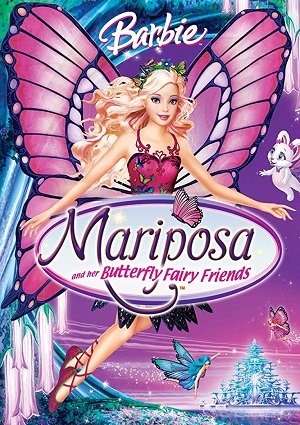 Mariposa, a brave and good fairy who lives in Futterfield is appointed by the prince as the one to find the antidote that allows Queen Marabella to live. So along with her friends, starts a journey in search of the cure for the queen who gets weaker every day. Mariposa should follow the instructions of a map that has been provided to her and try to reach the site where the antidote is; but they will have to go through enormous difficulties, solving riddles and battling fearsome monsters that will not allow them to have a quiet journey. What will happen? Will get the fairies in time to Futterflied? The lights of the kingdom slowly fade away just as the health of the Queen. Fairies are at the mercy of Skeezites who are waiting the time to attack.